If you like Harry Potter and you wish you could walk the streets of Hogwarts at night, you should probably spend some time in Siena. 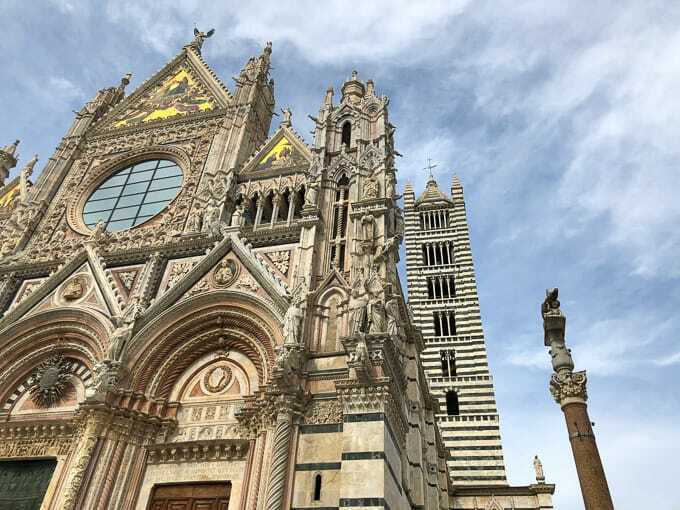 And if you don’t like Harry Potter, you should still plan some time in Siena. Because it’s one of the most magical places I’ve ever seen. The largest walled-in city in Tuscany, Siena feels like a medieval dream, taking you back to the 14th century. 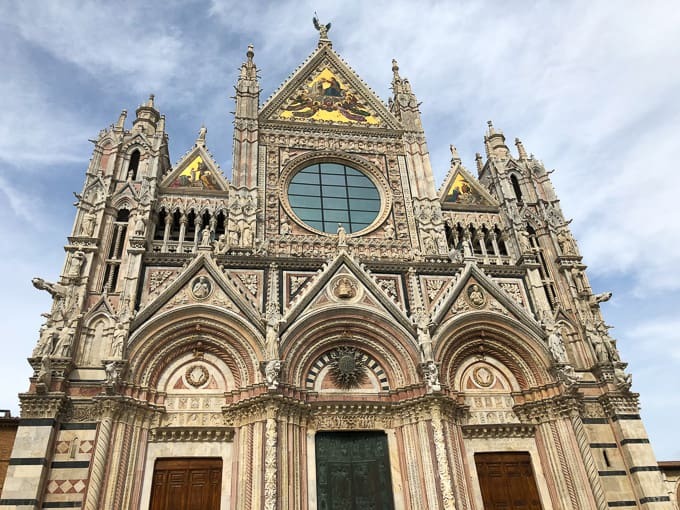 We spent two nights in Siena and I’d recommend doing just that. 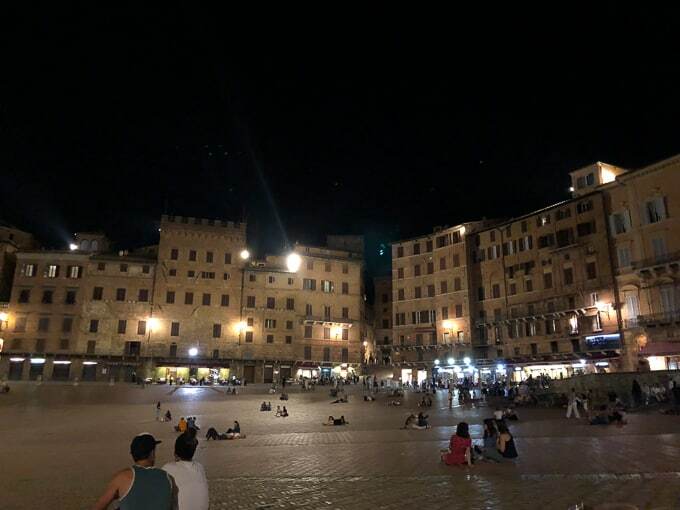 You can easily see Siena in one day but nighttime in Siena is the best because all the day-trippers from Florence and tour buses have left, the streets are quieter, and everyone just lays down in the main brick-lined square having a night cap or just chatting post dinner. 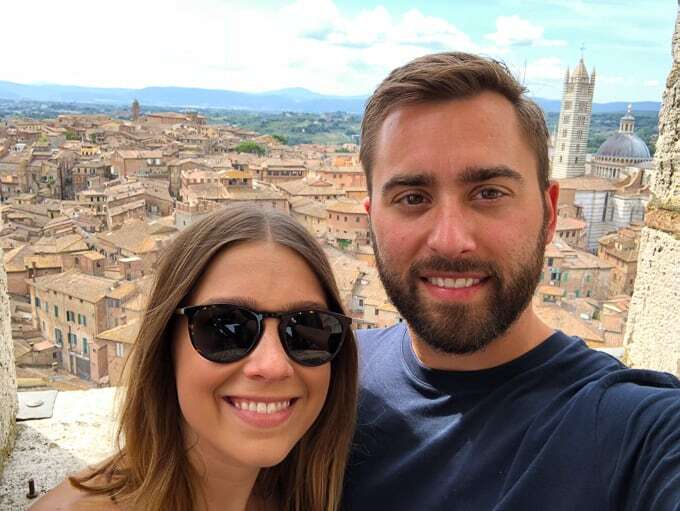 We took the train from Florence to Siena, which is about a one hour ride, and arrived in the evening with just enough time to get ready for dinner. We stayed at this airbnb, which was perfect for the six of us. That night, we ate at the most spectacular restaurants and probably had one of the most fun nights of our trip here, all thanks to our waiter. 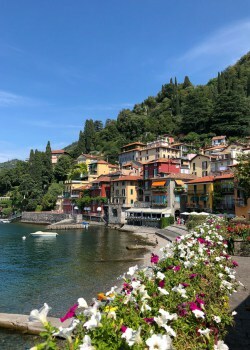 Antica Trattoria Papei was described in Rick Steve’s book as casual with festive outdoor seating. We called the day of for reservations and luckily got a table! 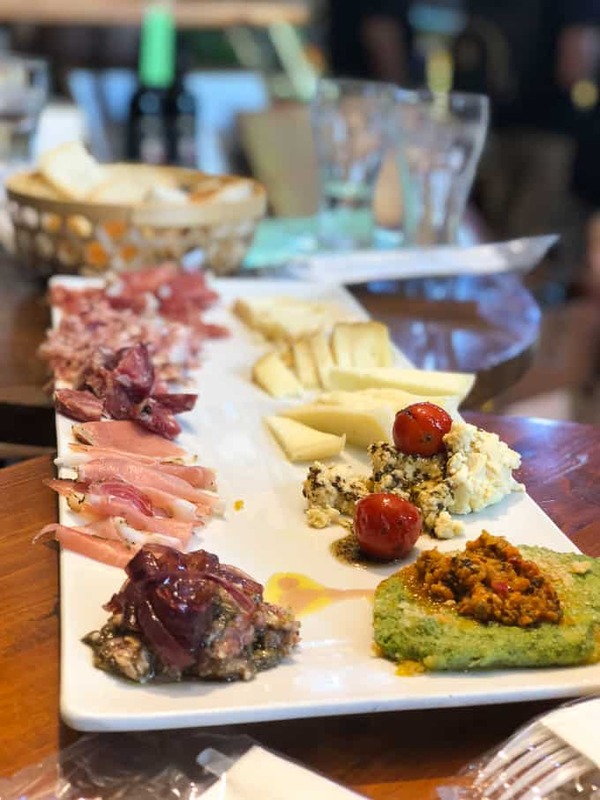 This place is most well known for their grilled meats (which is pretty common in Tuscany as it’s one of their regional specialties). The waiter was super helpful and basically guided us through the menu for what to order to share among the table. We had three different pastas and three different grilled meat dishes. It was perfection. He then proceeded to feed us dessert wine, shots of limoncello and some other herbal liqueur. I mean, when in Italy? Even without the booze talking, this dinner was really special and delicious. 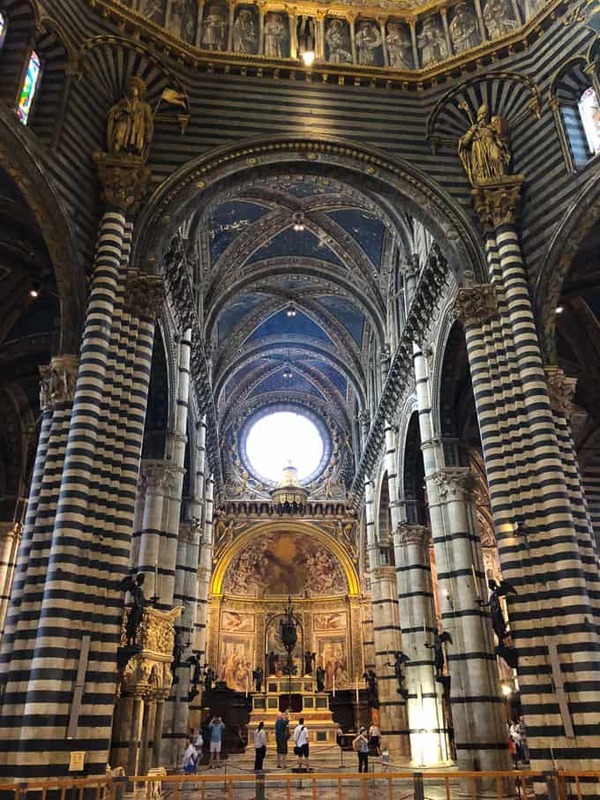 If you’re in Siena, I highly recommend a visit. And ask for Amadeo, if he’s working :). After dinner, we all sat down in the main square, chatting and taking in our new surroundings. I couldn’t get over how many people just sit in the square at night. It was pretty cool. We headed back to the main square to visit the City Tower to climb up the 400 steps for 360 degree views of the city. But first we learned all about the Siena horse races via Rick Steves’ audio tour of Siena. 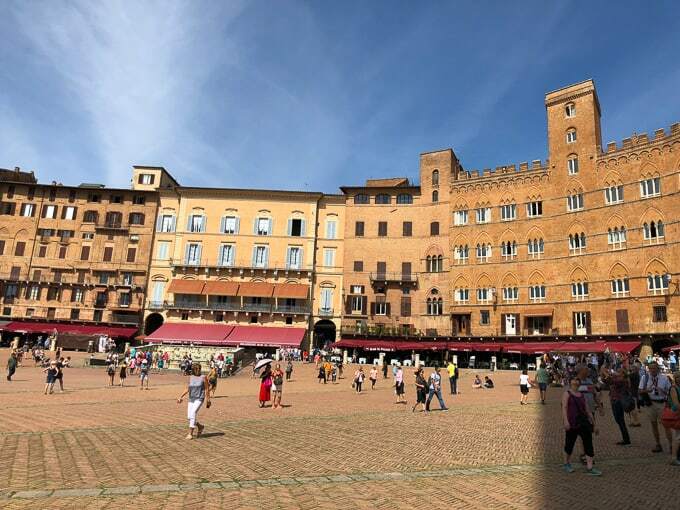 The Palio di Siena is a famous horse race that’s held twice a year in this main square of Siena. It draws in 60,000 people crammed into this tight square for a 90 second race. Steve’s second cousin who lives in Rome said he’s gone a couple times and that it’s a blast. Maybe we need to go back for it? But even if you’re not there for the horse race, a walk up the 400 steps to the top of City Tower (Torre del Mangia) is worth it for the views. This is really the only vantage point where you can see the contrast of the medieval buildings against the Tuscany greenery. Also, fun fact. 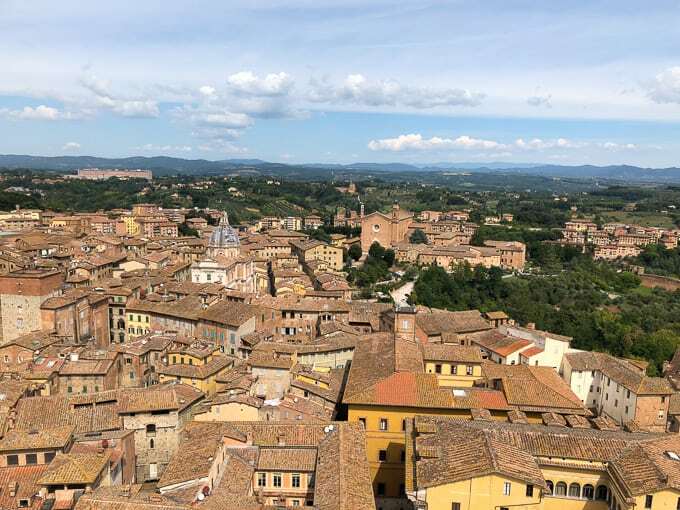 The color burnt siena is named after the color of all these buildings. After all that climbing, we’d worked up an appetite and were ready for lunch! 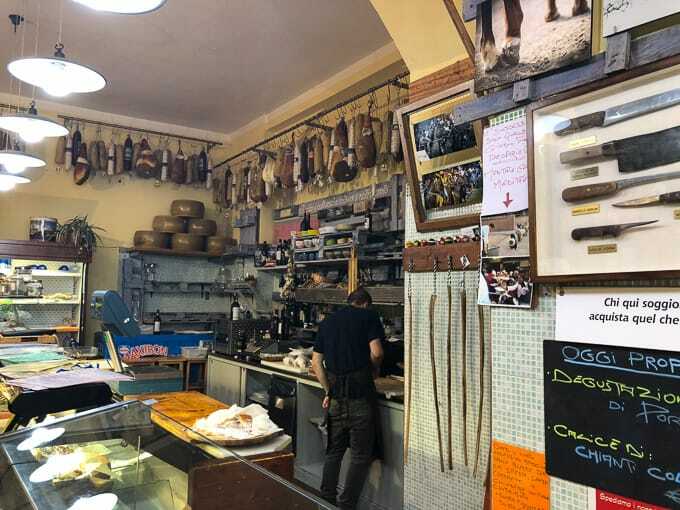 The owners of the B&B we stayed at in Venice told us about this amazing deli they went to in Siena, where they ate all these delicious meats and cheeses. Gino Cacino di Angelo is definitely more of a local spot. It’s tucked away from the action in the main square and hidden behind this ivy. Plus, the owner didn’t know how to deal with us Americans who don’t speak any Italian nor know how to order from a deli apparently lol. But we managed to do juuuuust fine. 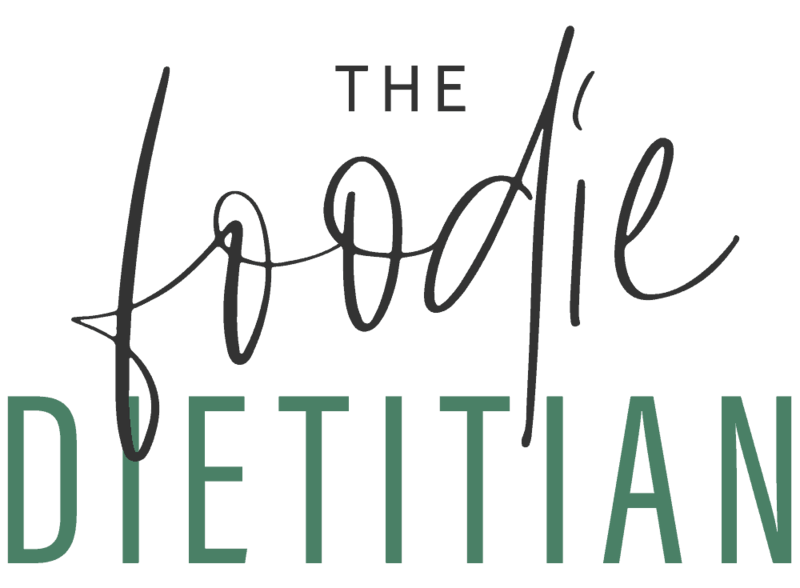 We ate some of my favorite meats and cheeses here, paired with bread and delicious spreads/dips. And then we ordered sandwiches too because why not. Everything was fantastic. We all said we could eat here every day for the rest of our lives and be pretty content. After lunch, we moseyed our way over to the Siena Cathedral to take a peak inside. 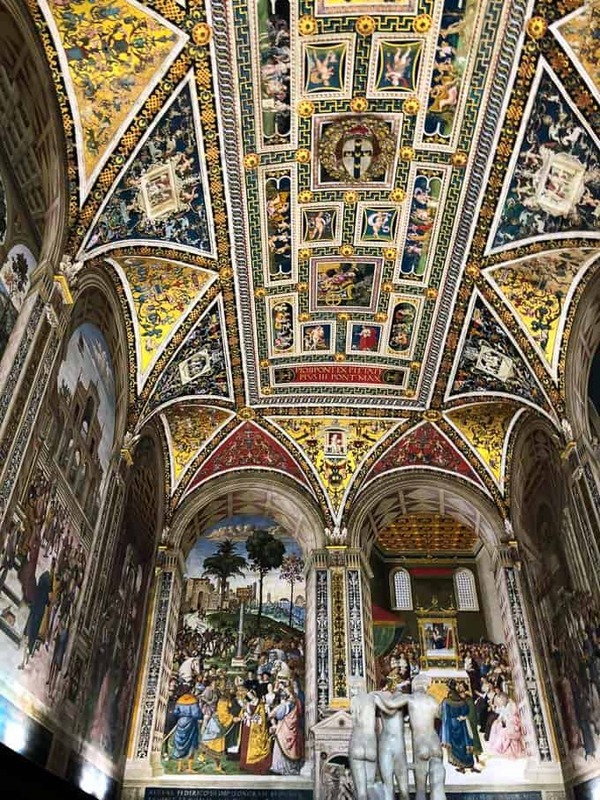 Built in the 14th century, this is Siena’s largest church and it’s pretty breathtaking inside. Worth a visit! After visiting the church, we were all pretty drained so we went back to the airbnb to put our feet up before getting ready for dinner. 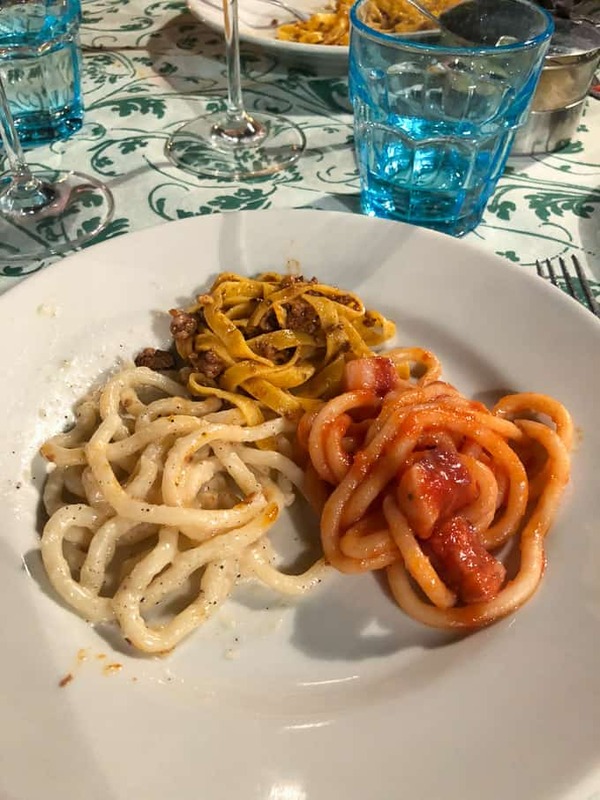 That night we ate at Osteria Le Logge, which Rick Steves recommended for dining al fresco and Tuscan favorites with a gourmet twist. Unfortunately, none of us were blown away by the meal. And we all appreciated the more casual and fun vibe from the night before. 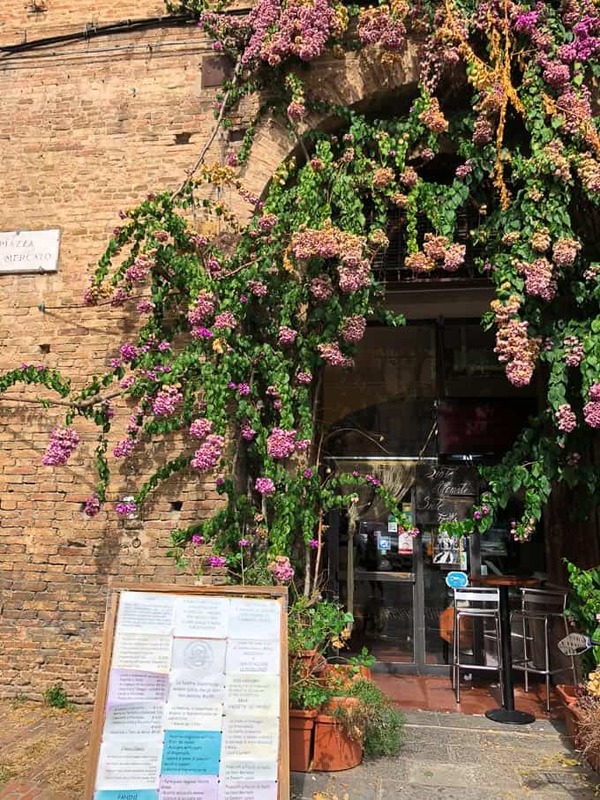 But if you want to know Amadeo’s recommendation for another fun, casual, authentic restaurant to go to in Siena, his favorite was Taverna di San Giuseppe. If we ever go back, I’m heading there next time. The next morning we hit the road early to head to our agriturisimo in Montepulciano to get our countryside Tuscany experience! Stay tuned! 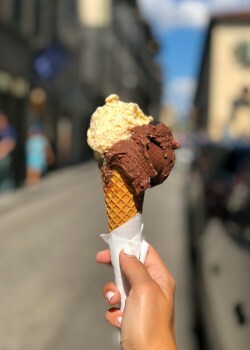 Check out my other Italy travel recaps below! 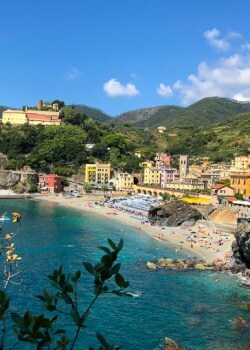 Pinning this for my next Italy trip! 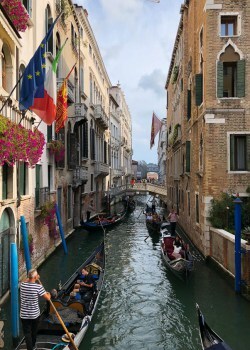 It’s one of my in-laws favorite city in Italy (they lived over there for awhile and go back a lot) so I already knew I wanted to go. 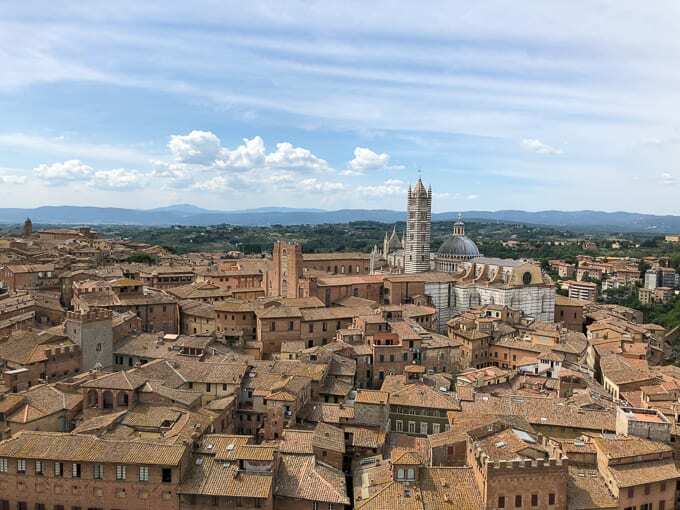 Siena was one of my favorite cities in Italy- my husband and I thought the horse race sounded so fun and the concept of the different districts was really interesting too. Can’t wait to read more recaps from this trip! 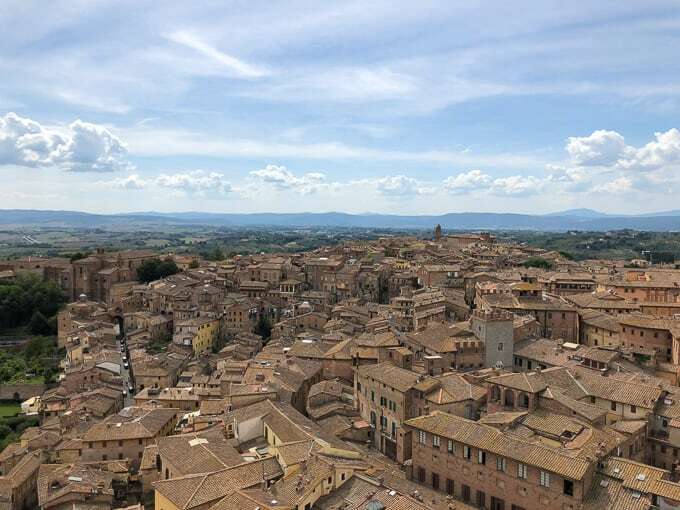 I love your photos and commentary on your trip to Siena, Italy. 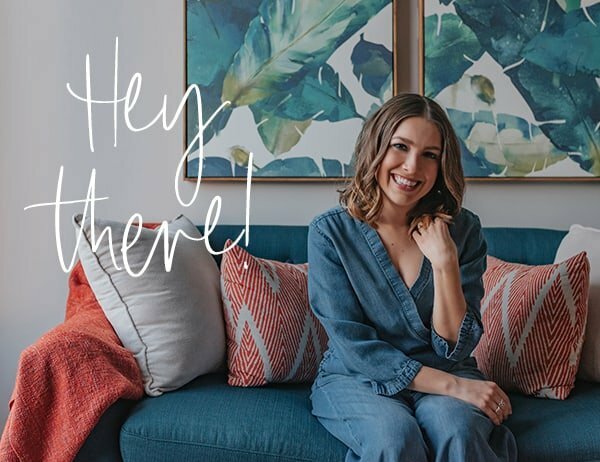 Thanks for sharing about it. Thank you, Suzanne! Merry Christmas to you too!